Start by recognizing the mind-state that causes suffering, be prepared to stop and skilfully look deeply into suffering by placing it within a practice of mindfulness. Just these initial steps can prevent us from being hooked and taken down by strong emotions and wrong perceptions. The tools are not those of intellectual self-analysis where we rationalize our suffering away. To recognize the significant elements of our suffering we need mindfulness, concentration and insight. Above all else we need to locate in heart consciousness – that still place of calm that is available by first of all stopping and then centering in mindfulness. This is so your mind-state is calm and grounded for the investigation. Your time of great difficulty – locate it. What happened, where and when? What was the time frame? What do you think caused it – was it something in you or were the causal elements also around you? Do your best to establish the nature of the different factors that caused you to suffer at this difficult time in your life. Know also that your perceptions and recollections of the situation may well be skewed, so it is wise to take refuge in sangha eyes, to find out from dharma brothers and sisters just how you were at that time in terms of your actions and reactions. In this first step of being a dharma detective there is the importance of being grounded, of deep looking and of relying on sangha eyes to remember clearly. Stage Two takes the process deeper. You have recognized your suffering but do you remember how you felt at that time? 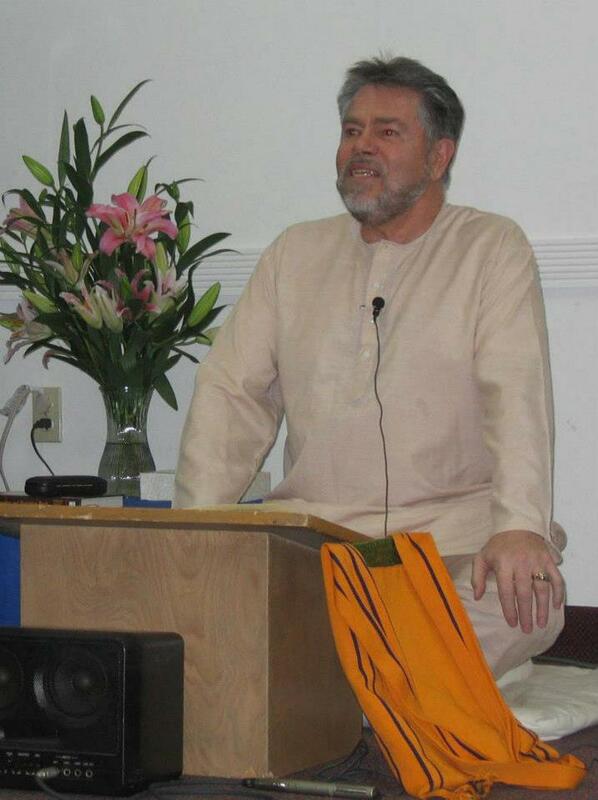 Did you become overwhelmed by it all or did you apply the practices and teachings in any way? Were there dharma friends available to help you or did you not seek help because you had lost faith? We need courage with this part of the inquiry, for it leads to the very difficult next stage of looking deeply into how we tend to take refuge in blaming instead of taking refuge in the Three Gems. We have to be a “Hercule Poirot,” truly a dharma detective, for now in Stage Three we list in our notebook how we blamed – the other, the situation, the Buddha, Jesus – even God! How did you lash out during your suffering? How did you try to harm and discriminate against the one you hate and any one else who got in the way? Did you shut them out or run away? Did you seek complicity with someone to help share your hate? We all love our dramas, so much so that we tend to seek out someone to agree with our suffering – but there is no support in that, as only deeper suffering ensues. Were you lucky enough to find true support, someone steady to direct you to a greater understanding of the particular hell you are investigating? Did you come to an understanding that blaming, punishment, shutting off, running away, seeking complicity – none of these are motivated by understanding and compassion? Did you begin to realize that suffering is impermanent and that understanding and compassion illuminates impermanence, that this is the way out? If you have these realizations then progress is surely being made. The Fourth Stage is a process of deep reflection on what would you do now, if faced with a similar situation. From the investigation of your time of great difficulty can you identify a learning curve that will enable you to not repeat the same mistakes? You may see for yourself the value of taking refuge in sangha eyes to guide your perceptions; of taking refuge in the practices, mindfulness trainings and sutras for guidance in order to apply the energy of mindfulness to the energy of suffering. This exercise is a wonderful one that all of us can do. The practice of mindfulness comes alive as a highly strategic set of tools and skills to produce transformation of the suffering caused by difficult and painful circumstances. Life is full of crises, curve balls and disasters. But even so, we do not have to be overwhelmed, hooked and crushed by them. Mindfulness practice helps us. Understanding and compassion hone our skills so that we become excellent gardeners of the mind. The importance of taking refuge is to make fully alive the reality that we inter-are. We are never alone once we realize that Interbeing is a basic law of nature and of the Universe. Our scale of difficult circumstance runs through a vast range. The suffering and pain can be from a divorce, a son addicted to drugs, loss of a job, the death of a loved one, childhood abuse or brutal discrimination. The suffering can also be there from the situation in the Middle East between Palestinians and Israelis. The dharma detective operates well in all domains – personal, national, international – providing an instrument to focus our mindfulness, concentration and insight to whatever difficulty we suffer from. 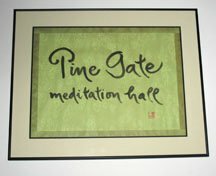 Ian is the resident Zen teacher at Pine Gate Mindfulness Community in the west end of Ottawa, Canada. Teachings and dharma study are offered on Thursdays 7.00pm – 9.00pm.